Managing your cash flow is incredibly important when running a cafe, especially a new cafe. Business insurance is a cost that can take a big bite out of your cash flow when it falls due each year, but there is a way to reduce this impact. The easiest way to reduce the impact on you the cash flow of your cafe is to pay your premiums monthly. But unlike your home and car insurance that can be paid monthly directly via the insurance company, it works a little differently when it comes to business insurance. Instead of paying the insurance company directly, you pay the premiums via a method known as premium funding. Most business insurance policies can only be taken out annually, however there is a way to pay them monthly via a process known as premium funding. Essentially the premium funding company pays the annual premium for you, and you then repay the premium funding company via monthly repayments. In effect this allows you to repay your cafe insurance monthly, even though the insurer does not directly offer a monthly policy. Your can learn more about premium funding by following the link. Is it more expensive to pay monthly? In return for paying your insurance for you and allowing you to repay it monthly, the premium funding companies do charge interest. The amount of interest charged will vary from one company to the next, and will often be impacted upon by the size of the premium to be funding. Whilst we cannot quote any rates in this guide, we can say that the rate charged on a premium funding contract will generally be much lower than you can get on a credit card. Most premium funding companies will also charge a setup fee, which can range from around $29 to $69 depending on the company used. A trap that some cafe owners fall into is thinking that if they cancel their insurance, their monthly payments will automatically stop straight away. In most cases the full interest amount is still payable, so even if you cancel your policy and the funding contract, you'll still need to repay the interest which would have been charged. This generally isn't a huge amount however, and in most cases you may end up having to pay an extra one or two monthly payments after the cancellation. It's also important to stress that you are effectively taking out a loan for your insurance. You are borrowing an amount to cover the insurance premium, then repaying the loan over the life of the insurance policy. If you would like more information about paying your cafe insurance monthly, just let us known when requesting a quote. In most cases we will provide you with both annual and monthly quotes anyway. Paying your insurance monthly via premium funding can be a great option for helping with your cafe's monthly cash flow. Yes it can be more expensive, but often the cash flow benefits outweigh the additional cost. 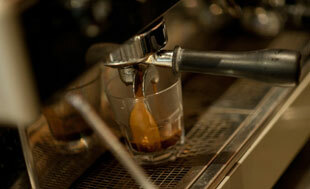 We can assist cafe owners and operators throughout Australia. Wherever your cafe is located, our team can assist you via your preferred contact method. Our network of insurance advisers and brokers specialise in small business. They know the risks that cafe owners face, and they know how to get the right insurance in place for you and your business. We understand that whilst it's important to protect your business, you also have to protect yourself. That's why our team also consists of a personal risk specialist who can help you with cover including income protection and life insurance. One of our areas of expertise is helping new cafes and first-time owners. Business insurance can be daunting if this is your first business, but our team can help you through the process to make it as easy as possible. Want to know how much insurance is going to cost your business? Simply get in contact with us or complete our online quote request to receive quotes on your cafe insurance needs. The CafeCover website is for information purposes only and to link cafe owners with insurance professionals who assist with quotes and service. The contents of this website is general in nature and has not been prepared with your personal circumstances in mind. Before making any decisions relating to your insurance you should first seek advice from a qualified and licenced insurance professional. You must not make any decisions based solely on the contents of this website.